The Cameron government committed to publishing rules which would prevent local councils and other public bodies from boycotting states with whom Britain has normal relations. This would of course prevent these bodies from singling Israel out for discrimination. It is important that the change in government does not see this pledge forgotten. 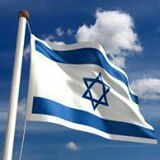 Please sign this We Believe in Israel petition – support the Government’s ban on anti-Israel boycotts by local councils.